Cape Town - South African forwards see their Australian counterparts in Super Rugby as "soft", Reds prop JP Smith has said. South African-born Smith gave the blunt assessment as his team prepared to host the Stormers in Brisbane on Friday. "I know what they think of Australian forwards generally. Soft. That's my honest opinion, that's what South African (forwards think) because they try and bully us," Smith told the Australian Associated Press. "If you take that aspect away from them, they don’t know what to do. If you take their forward play away, they’re very niggly off the ball and they like to intimidate you and once they see you give in, they’ve got you, so it’s physical presence from the start - they want to dominate you." 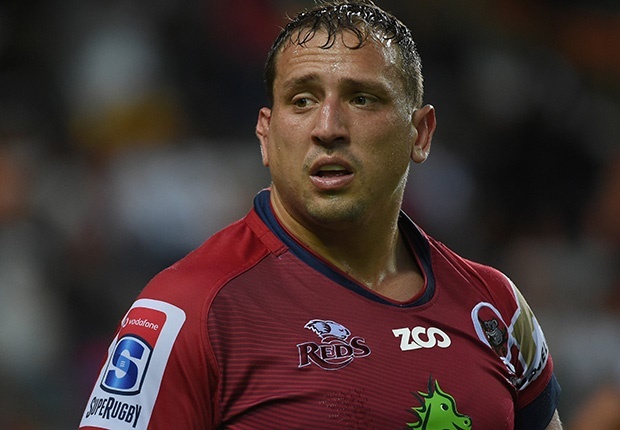 Smith, who played for the Stormers in 2016, and his twin brother prop Ruan joined the Reds last season, having previously had a stint at the Brumbies.